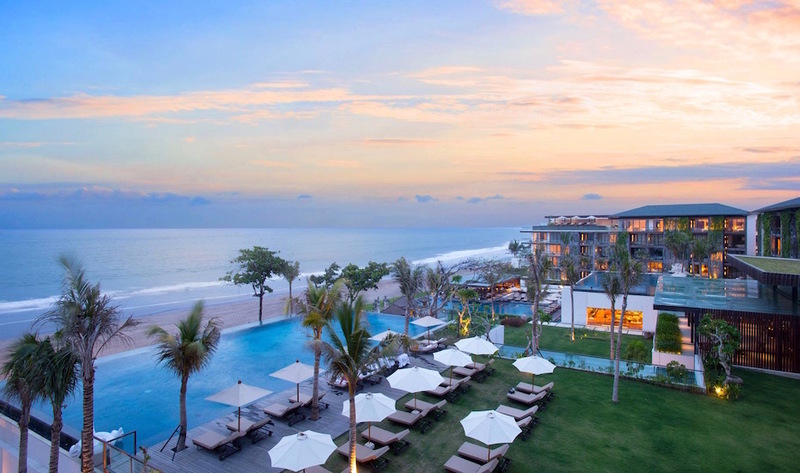 Honestly, we could wax lyrical for days on end about why Alila Seminyak is one of our fave beachfront resorts in Bali. Besides the fact it’s a five-star sanctuary of all things fabulous, this resort is sooo much more than “just” a luxury hotel. 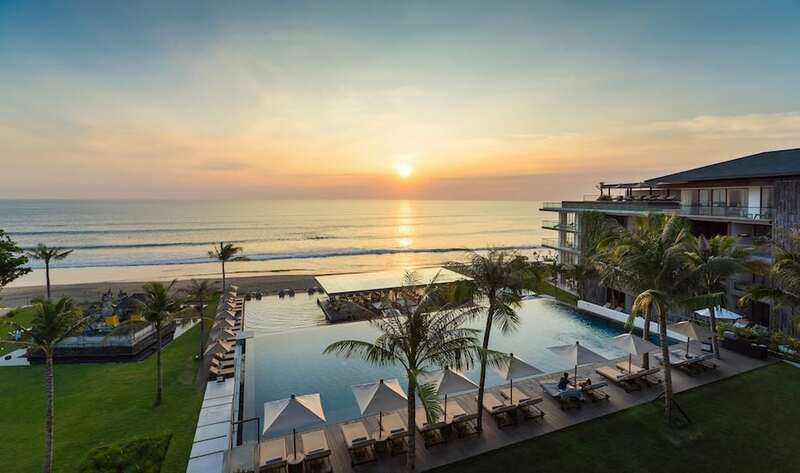 Glamorous, chic and oh-so sophisticated, Alila Seminyak is a haven of breathtaking architecture, the most fabulous food, a world-class spa and endless beachfront opportunities for your holiday necessities. And to really up the tropical ante, there’s not one, but five different infinity pools here, set across multiple tiers for next-level wow-factor. Insert happy, five-star relaxed *sigh* here. 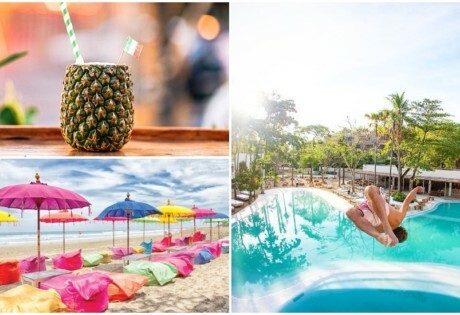 Yep, while we could think of a million reasons why Alila Seminyak is one of our forever-fave resorts, we’ve hand-picked six of the most fabulous features to love at this beachfront destination – an insider’s lowdown on what’s hot right now at this styling Seminyak institution. 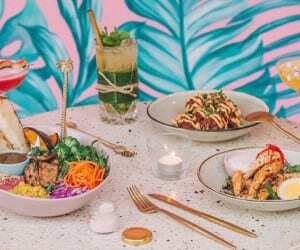 Seafood lovers, Seasalt has a brand new brunch! To give you a five-star taste of Bali’s local culture, lifestyles and traditions, a signature offering at Alila Seminyak is its Alila Experience – a collection of curated lifestyle activities that let you soak up all the best bits of the surrounding neighbourhood. Think scenic cycles by the beach, spiritual healing and even snap happy professional photoshoots at all of your fave Seminyak hotspots. 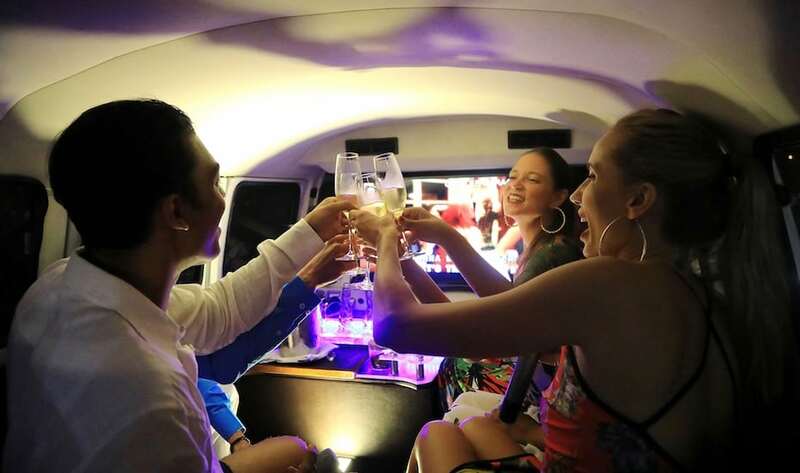 One Alila Experience that we simply LOVE is the brand new Kombi CarAoke – a mobile karaoke experience that takes you around Seminyak’s buzzing streets in a tuned-up 1980s Volkswagen Kombi Van. Yes you read that right! While you soak up the Seminyak sights, you and your crew can belt out Bieber or sing your heart out to Bohemian Rhapsody – all in the comfort of a vintage VW! If that wasn’t enough to get you grabbing the mic, this two-hour karaoke cruise comes fully-stocked with food and beverages, plus plenty of dress-up props to really wow your audience. And the best bit? The entire ride will be recorded for you to take home and remember the time you rocked Seminyak’s socks off with your Prince impersonation. Just don’t forget to upload the vid to YouTube – those record deals will come rolling in! 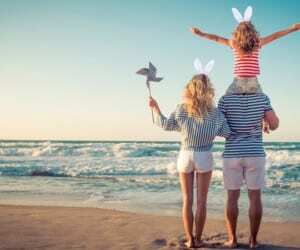 Cuddle up on the comfy low-slung sofas, graze on the menu of Mediterranean mezze plates, and stick around for dinner when Alila Seminyak’s barbecue by the beach begins to smoulder, with sizzling steaks and sunset vibes in full swing. There’s even a brand new collection of six signature Gin & Tonics to keep you going through the night – this is swanky Seminyak, after all! 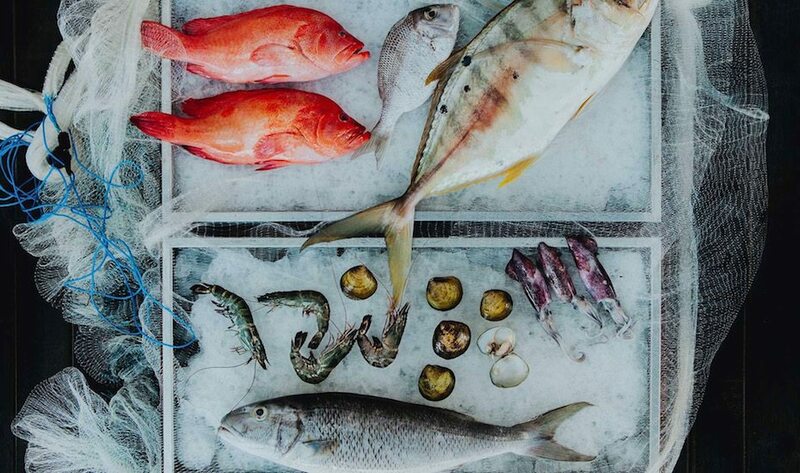 Located right on Alila Seminyak’s beachfront, Seasalt is Seminyak’s seafood-inspired restaurant with Japanese infusions that we’ve fallen head over flip flops for. 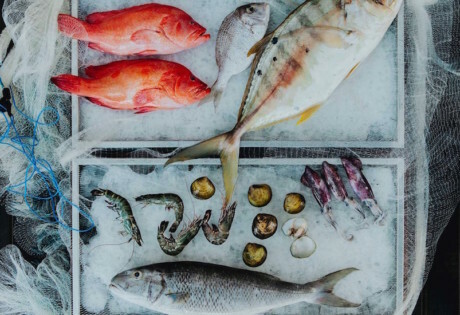 Not only is Seasalt home to one of our fave Sunday brunches in Bali, this fabulously fresh seaside restaurant has just rolled out a whole new way of dining: a degustation dinner paired with signature local salts and cocktails. 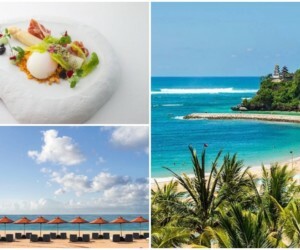 With the sea breeze as company, this four-course Seasalt Pairing dinner sees delicious ocean delicacies like soy-braised octopus paired with squid ink salt, alongside a vodka, sake and cucumber cocktail. Or, try the farm-fresh creations like the 72-hour Wagyu shortrib, perfectly matched with a rose & thyme salt, and a creative concoction of whiskey, orange liqueur, Malbec and blueberry. It’s a gourmet dining experience that really is worth its salt. In true Alila style, Alila Seminyak is home to the ahhh-mazing Spa Alila, treating you to some of Bali’s most blissful massages, facials, body scrubs and Shirodhara treatments. One of our fave indulgences here is the multi-hour Mineral Ritual package that pampers you from head to toe, and inside-out too. 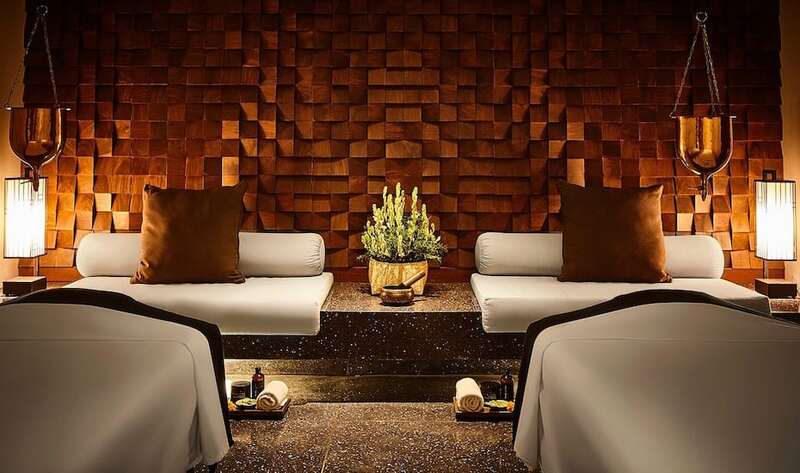 It begins with a deep acupressure reflexology treatment and a therapeutic Alila Seminyak Massage, which includes an incredible Vichy shower, a microbubble bath, a volcanic clay facial, plus a 2-course healthy lunch at Seasalt. You’ll also be treated to coconut and mint water to refresh as you go, and you’ll even get to take home an Alila Living sea salt scrub product too. Now that’s what we call a spa sesh! Spacious, stylish and oh-so sleek, the designer suites at Alila Seminyak are the bee’s knees of luxe island living. 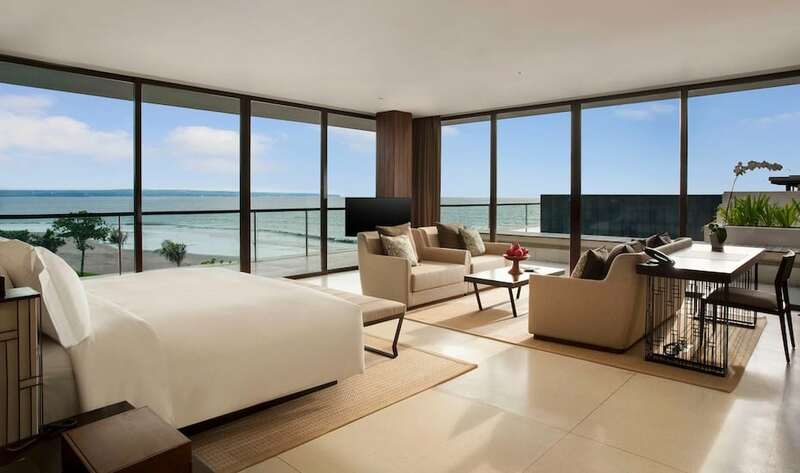 Contemporary design statements are wrapped up in sustainable architecture and floor-to-ceiling glass windows that open up to breezy balconies and terraces- soaking up paradise to the absolute fullest. To truly live the high life, go for one of Alila Seminyak’s stylish Penthouses. With a whopping 811 square-metres of ocean-facing sophistication, plus three bedrooms and an infinity pool with an outdoor dining and living terrace, these pads are bigger than most entire villas. And just look at those views! While you never need to leave Alila’s luxurious space of sophistication if you so choose, the resort just so happens to sit in the bullseye of Seminyak’s most glamorous wining, dining and shopping district. 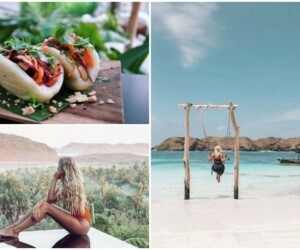 You’re beachfront neighbours to Potato Head Beach Club and La Lucciola to name just a few, or take a stroll up or down Jalan Petitenget and you’ll find Bali’s biggest names in island fashion, plus a plethora of cute cafes, restaurants, bars and spas. It’s location perfection right here! Alila Seminyak, Jl Taman Ganesha No. 9, Petitenget, Seminyak, p. +62 361 3021 888.